Identifying regional needs and priorities for animal telemetry observations of aquatic species. This Workshop is one in a series of regional meetings and workshops that the U.S. ATN is holding to identify priorities for regional telemetry observations of aquatic species (including pinnipeds, sharks, whales, fishes, turtles, and seabirds) that could be served by an ATN baseline network and to examine whether the type and extent of existing telemetry assets could adequately satisfy these requirements. The information generated at the workshop will be used by the ATN to identify regional and national observation priorities to ensure that both are being met, a concise plan for sufficient funding of the envisioned national ATN tagging program, including infrastructure and operations, and how integration and coordination of these assets will be achieved. Identify and prioritize regional telemetry research and potential keystone monitoring / observational needs. 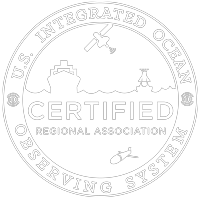 Review the existing global telemetry observing assets and scientific capabilities, and provide a state-of-the-region analysis. Document existing examples of stakeholder use of telemetry data (e. g. understanding fish distribution, mortality, migration, design of protected areas, definition of essential habitat for species protected by the ESA & MMPA, socioeconomics, fisheries management, and others). Identify data management challenges, and showcase the SECOORA-FACT Acoustic Data Node as a regional tool with global linkages for data management, sharing and collaboration. Consider needs common to other regions, and discuss strategies for applied, collaborative research across geographies and disciplines. Conference call and webinar capabilities is available for Day 1 of the workshop. For the breakout sessions, the Workshop attendees are organized into 3 pre-selected Groups (I, II & III), each with a pre-selected Facilitator and Reporter. Each Group will meet separately and will address all BREAKOUT TASKS according to the schedule below. How to Organize Them ? Curious who is planning the meeting? Below are the Steering Committee Members helping organize the workshop. Mitchell A. Roffer, Roffer’s Ocean Fishing Forecasting Service, Inc.